Virginia beekeepers lost almost 60 percent of their colonies over the winter — the highest percentage in state history, and almost twice the national average. WASHINGTON — Virginia beekeepers lost almost 60 percent of their colonies over the winter — the highest percentage in state history, and almost twice the national average. 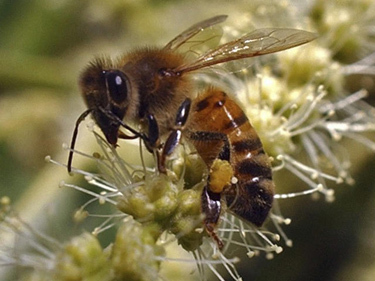 The Virginia Department of Agriculture and Consumer Services (VDACS) said the losses of honeybee colonies over the 2017-2018 season were greater than expected and greater than the average of 30 percent per year for the last decade. The loss rate is the highest since the state began monitoring winter losses in 2000, state apiarist Keith Tignor said in a statement. Nationally, 30.7 percent of managed colonies in the U.S. were lost during the winter of 2017-2018, a 9.5 percent increase over the previous year. According to VDACS, scientists cannot attribute the ongoing bee deaths to a single cause. “It is a combination of environmental conditions: loss of habitat, pests and diseases such as Varroa mites, small hive beetles and nosema” — a fungus that affects honeybees. The agency is encouraging people to become new beekeepers, and existing beekeepers to add to their existing hives. In addition, homeowners and apartment dwellers are encouraged to plant pollinator gardens and window boxes to help keep the honeybee population up. The Bee Informed Partnership provides information about national bee colony loss.